WARSAW, Poland – December 16, 2014 – Internationally acclaimed game developer, publisher and distributor CI Games today revealed that it is deep in the development of Sniper: Ghost Warrior 3, marking the popular tactical shooter franchise’s first AAA production effort. 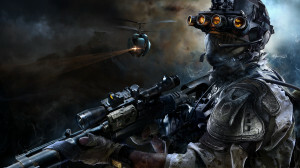 Due for release in the first half of 2016 for PC, PlayStation 4, and Xbox One, Sniper: Ghost Warrior 3 is being created from the ground up by an all-star development team that includes Steve Hart, former senior producer of Rebellion’s Sniper Elite V2, as well as combat veteran and former Marine Paul B. Robinson, who has an extensive resume of game development reaching back over 20 years. Set in a modern day conflict based in Eastern Europe, players will be thrust into the role of a sniper caught between three warring factions, played out in a realistic and immersive environment. Dig deep into the Ghost Warrior DNA as you choose between taking out your targets up close or from a distance, while at the same time focusing on your survival through evasion and stealth. Non-linear, sandbox-style gameplay on large open-ended maps give players the flexibility to play and replay the missions in a number of different ways. Sniper: Ghost Warrior 3 will offer intriguing challenges for tactically-minded gamers, while still remaining accessible to first-person shooter fans.